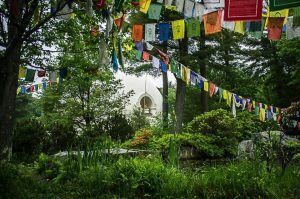 The Peace Pagoda is a unique gem hidden away in Leverett, MA. For those of you who have been or for those of you who are hearing about it for the first time, its worth checking out their 33 year anniversary celebration on Sunday. 12:30pm Sharing of Messages of Hope and Solidarity: Campaigns and Movements to undo Racism, Militarism, and Materialism, Opening the way to come together and live in right relationship to the natural world and to each other.